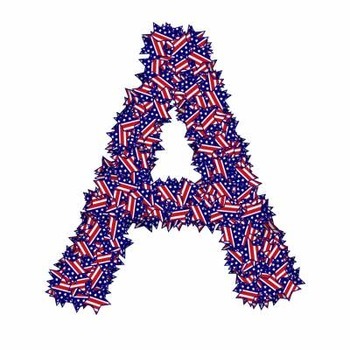 This 70 count 4th of July (Red, White & Blue) alphabet, number and symbol set includes uppercase and lowercase letters as well as numbers 0-9, and punctuation symbols. All images are png images that have transparent backgrounds. This is an instant download. All images are proportional as they are saved at the same font size. This is not a font. It is a png clipart and will need to be placed into your document one at a time. All png images are clearly labeled with upper and lower case letters, numbers and punctuation so you can quickly drag and drop it into your projects. Thank you for the clipart from AMBillustrations. This can be used personally and commercially. However, if you are using this commercially, a credit link back to my shop is required. • Both modified and unmodified/"as-is" use is approved for your business needs that aren't merchandise for sale. If used in a product that's being sold, you must add your own creative twist and modify our designs so that they become less than 50% of the final design. 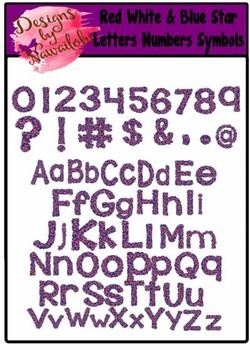 • Can not be sold, modified or unmodified, as DIGITAL: printable paper sets, collage sheets, clipart, or as part of any scrapbooking kit; as a supply resource for other graphic designers such as textures, brushes or patterns; or on print-on-demand services such as Zazzle or CafePress. *Please note that there may be some slight color variations due to differences in computer monitors.